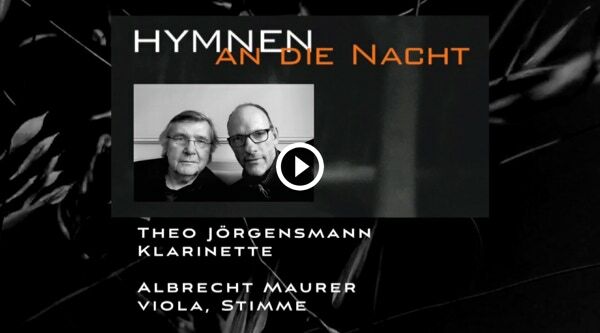 After Melencolia, Theo Jörgensmann & Albrecht Maurer present their new programme Hymnen an die Nacht at the same time as the release of the CD of the same name. "On the threshold of the 19th century, the movement of the Romantics turned against the disenchantment of the world by the Enlightenment, against the cold light of reason and the sober mind. Convinced that the mystery of the world could never be fully deciphered, they turned their gaze to the mystical and fantastic, to the world behind the visible things. The "Hymns to the Night" by Novalis, the romantic poet par excellence, are a poetic expression and climax of this movement. Novalis speaks of a "poetry of night and twilight". The magic, depth and complexity of his language inspired Theo Jörgensmann and Albrecht Maurer to use extracts from the "Hymnen an die Nacht" for their musical journey...And so this music seems enraptured, far away from pattern music and top-heavy construction. 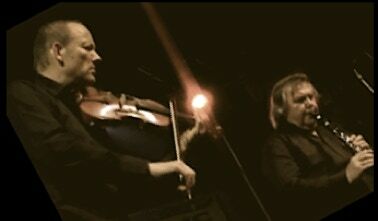 It is pure music, created from the manifold musical experiences of a clarinettist and a viola player".